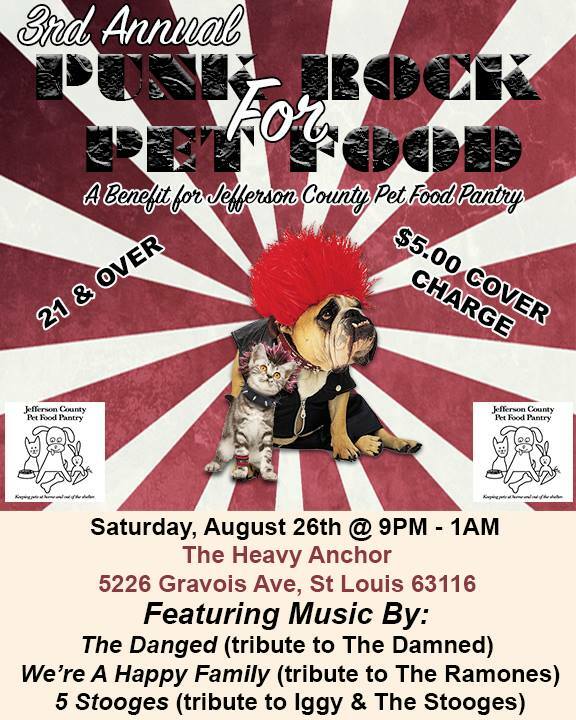 Fundraiser for Jefferson County Pet Food Pantry featuring "The Danged" (tribute to The Damned), "We're A Happy Family" (tribute to the Ramones) and just added "5 Stooges" (tribute to Iggy & The Stooges). This is a 21 and over event. $5.00 cover charge.